Experts say travel is a source of happiness rooted so deep that even the idea of it gets us excited. We couldn't agree more. Africa is the continent that inspired some of the greatest explorers of all time, like Livingstone and Stanley, that fueled the mighty Zulu warrior Shaka, and that was both a haven and a prison to the visionary grace of Mandela. Many have had to save for a lifetime for a once-in-a-lifetime experience in Africa—until now. Take advantage of jaw-dropping specials and head to the continent of mighty rivers, magnificent waterfalls, vast savannas, and verdant deltas rich with wildlife. 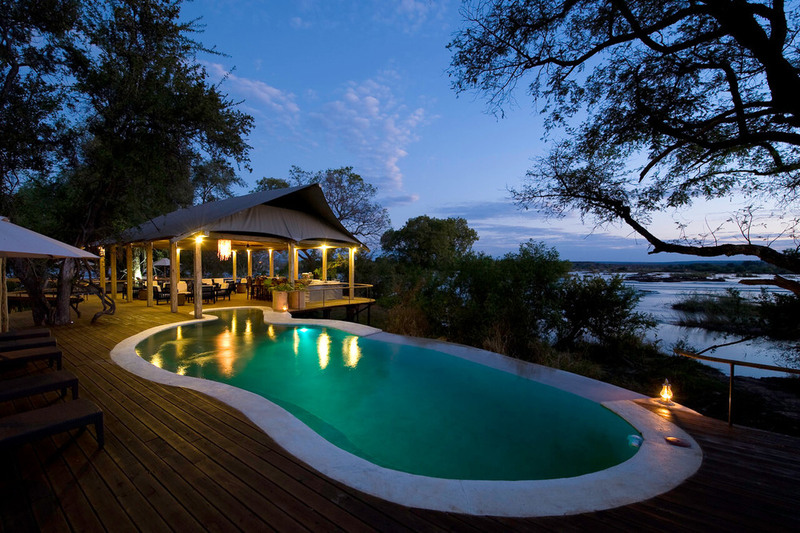 With so much to offer and exceptional high-season savings, Africa should be at the top of your travel list. Just take it from us—for over 25 years, we have been returning here to unwind, explore new territories, and refresh our spirit. "I never knew of a morning in Africa when I woke up that I was not happy." Over the past few years, Zimbabwe has seen a rebirth that is changing this mighty little nation and bringing hope to the locals and helping to save wildlife. Often touted as being the land of the greatest safari guides, Zimbabwe’s new dawn is here. The best part is, you can take the whole family at a fraction of the cost of its more gloried neighbors. Have a look at the 9-day itinerary and give us a call so we can tell you all about our incredible offerings to this unexplored place. Botswana is a one-of-a-kind experience, and there is no better way to experience it than with Outside GO. Our Tented Love safari has you exploring three very different areas, and each destination has been hand-picked to ensure it is all about low-impact wilderness camps and high-emotion. Observe leopards from your ultra comfortable safari tent, drift along the river in a traditional mokoro canoe, and kick back at a 1940s-style camp in the Kalahari Desert. For those seeking a safari steeped in history and culture and rich with wildlife viewing, this is the trip for you. Get familiar with a slower pace of travel in Tanzania on our nine-day journey to the beach and beyond. Lounge under thatch roofs in the rooms of the legendary Greystoke Mahale camp before going chimp trekking or kayaking, swimming, and sailing on Lake Tanganyika, the world's longest and second deepest body of fresh water. You'll wish your sundowners lasted past the last drop. Experience the great sand dunes of Namibia like you've only imagined on this epic flying safari that takes you high over southwestern Africa. The treacherous Skeleton Coast, mystical Damaraland, and Namib-Naukluft National Park are all on the itinerary to make this handcrafted safari the stuff of dreams. The desert wildlife and culture of the Damara people will astound and delight everyone in your party...and have you dreaming about the next trip. Zambia, sitting just above Zimbabwe in southern Africa, is a country that retains the charms of Africa of the past. But don't be mistaken—there's nothing old-world about this nine-day itinerary. Instead, it surprises and delights with three sensational camps in three national parks. 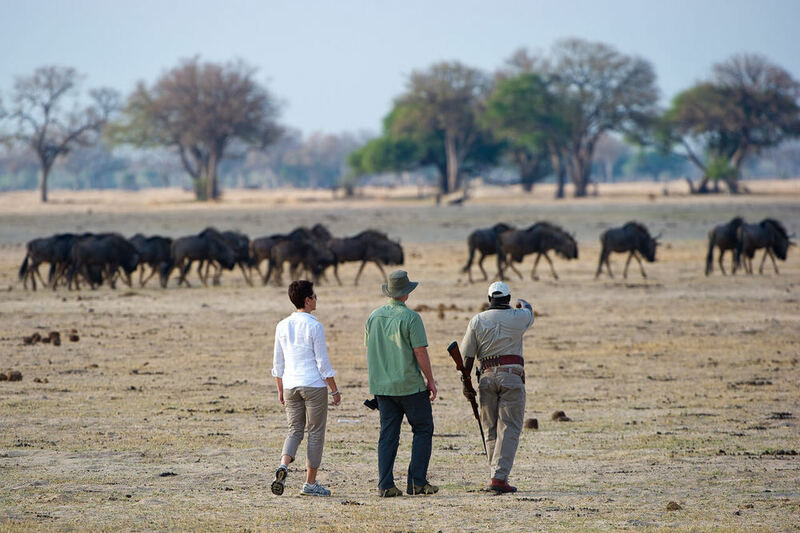 From the adrenaline-filled region of Victoria Falls, one of the Seven Natural Wonders of the World, to the remote plains of Busanga in the Kafue National Park, and finally to the spectacular scenery and wildlife of the Lower Zambezi National Park, this GO safari is a visceral and adventurous experience for the history books. Our expertly curated Ultimate Conservation Safari in Kenya takes you to centers run by three different tourism and wildlife organizations that are making huge strides in protecting wildlife and partnering with rural communities. This 11-day journey takes you through the best of classic African exploration—real adventure by day, unreal lodging by night—with the added benefit of a higher purpose. If you've always wondered about the impact travel has on local communities, this is your chance.